It took four years and a fast friend’s bad break for Rex Burkhead to finally get his chance to show what he can do as an NFL running back. And that patience, along with his production, is about to pay off with Burkhead set to enter free agency after the Cincinnati Bengals wrap up the season Sunday against the Baltimore Ravens. “I’m really not getting caught up in what’s going to happen after the season, as far as free agency goes,” Burkhead said. “I’m just really focusing on my assignments and doing my best. 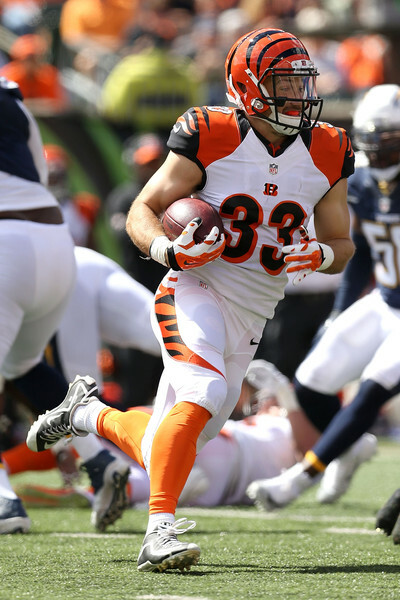 Since Giovani Bernard tore his ACL on Nov. 20 against Buffalo, Burkhead has been the team’s most effective rusher. In the last five games, Burkhead has 186 rushing yards, which is only slightly less than Jeremy Hill’s 217 despite the fact Hill has carried 87 times to Burkhead’s 41. Saturday night in Houston, Burkhead had a career-high 12 carries for 42 yards while Hill rushed seven times for 8 yards. Burkhead’s longest run of the game was 9 yards on the final play from scrimmage, setting up 43-yard field goal attempt to win the game, which Randy Bullock missed. 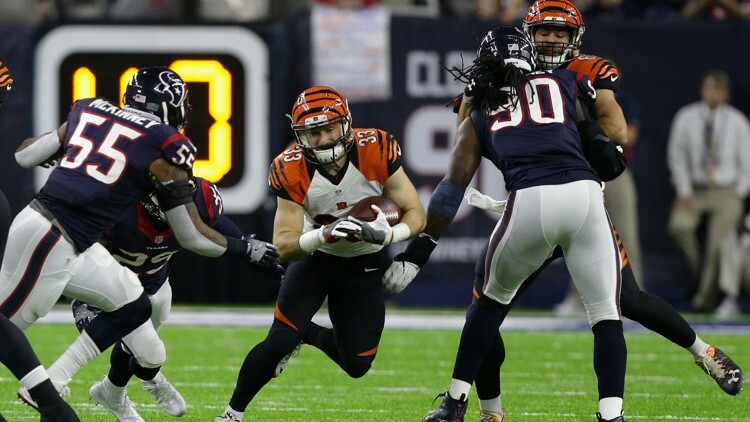 Burkhead, who also leads the Bengals with 12 special teams tackles, could see his role increase further Sunday against the Ravens with Hill missing practice the last two days with a knee injury. Limited to just 13 carries and 17 receptions in his first three years after the Bengals took him in the sixth round out of Nebraska, Burkhead surely has increased his value over the last month and a half. The question for the Bengals heading into the offseason isn’t whether Burkhead is capable of contributing, it’s if there is room for him in a backfield with Hill and Bernard. The Bengals may not know the answer either, given that Hill, who will be entering the final year of his contract in 2017, has struggled since rushing for 1,124 yards as a rookie with a 5.1 average. And any time a player like Bernard is dealing with ACL rehab, there is an uncertainty about how quickly he can recover and whether he will be the same back once he does. Regardless of what the future holds for Hill and Bernard, Burkhead knows Sunday could be his last with the Bengals. 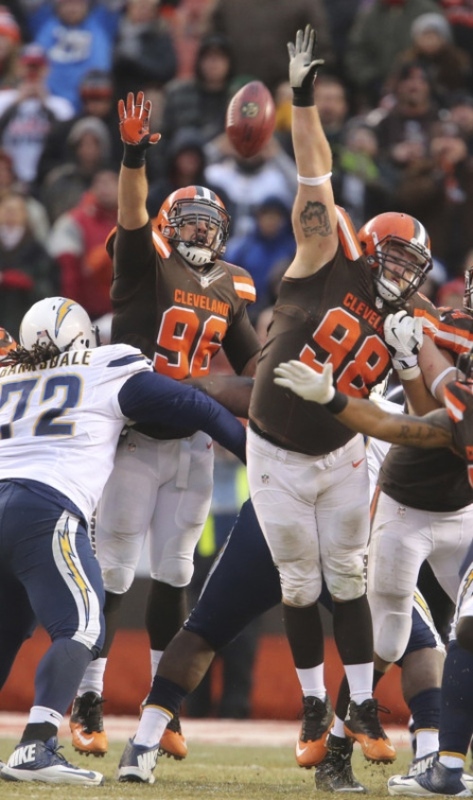 Cleveland Browns defensive end Jamie Meder has been nominated by the NFL for Castrol Edge Clutch Performer of Week 16. 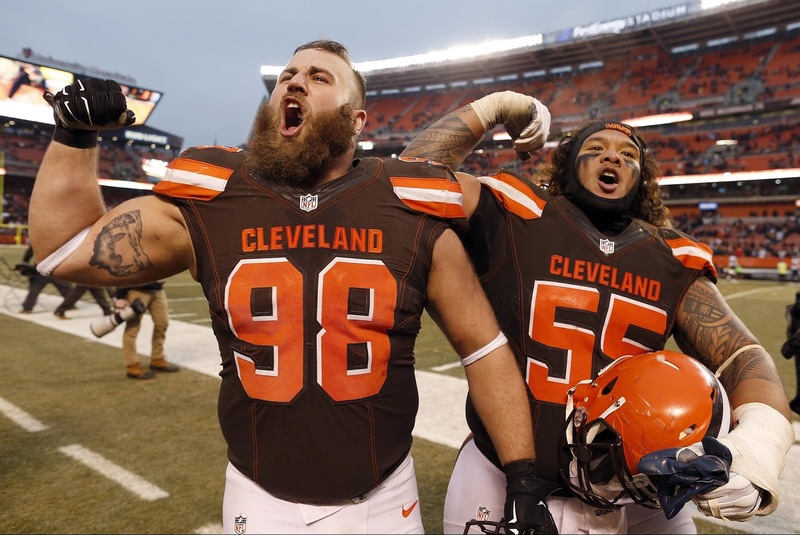 "Cleveland Browns defensive lineman Jamie Meder blocked a 32-yard field goal to save the game against the San Diego Chargers which led to the Browns first win of the season." The decision will be announced later this week. Arizona Cardinals kicker Chandler Catanzaro, Miami Dolphins running back Jay Ajayi, Pittsburgh Steelers wide receiver Antonio Brown and San Francisco 49ers quarterback Colin Kaepernick were also nominated for the award. 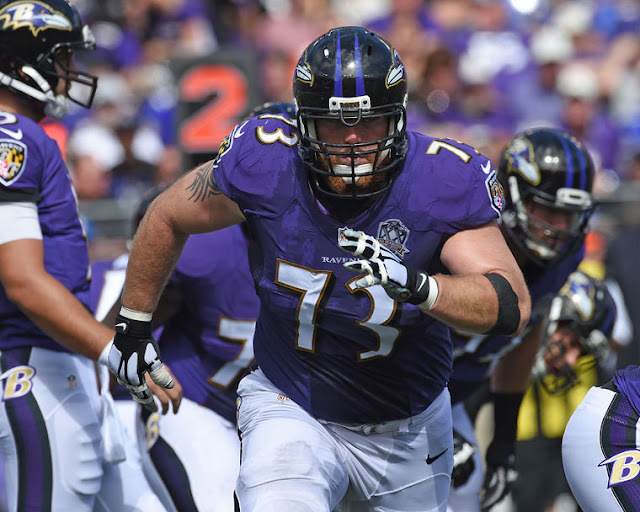 BALTIMORE, MD — As a five-time Pro Bowl selection and four-time NFL All-Pro, Anamosa native Marshal Yanda’s resume with the Baltimore Ravens as one of the best offensive linemen in the National Football League is secure. His legion of fans here in Iowa and across the country couldn’t be any more proud of his accomplishments as well. Yanda, who has a reputation of being the hardest worker in the NFL and displays those leadership skills each and every week to his Ravens teammates, was nominated by those teammates for the coveted Art Rooney Sportsmanship Award. Yet another amazing Yanda accomplishment. “For me it was an honor just being nominated by my teammates for this award,” said Yanda, who hosted all the Ravens’ offensive linemen at his home in Baltimore Monday, Dec. 19, for a team Christmas party. 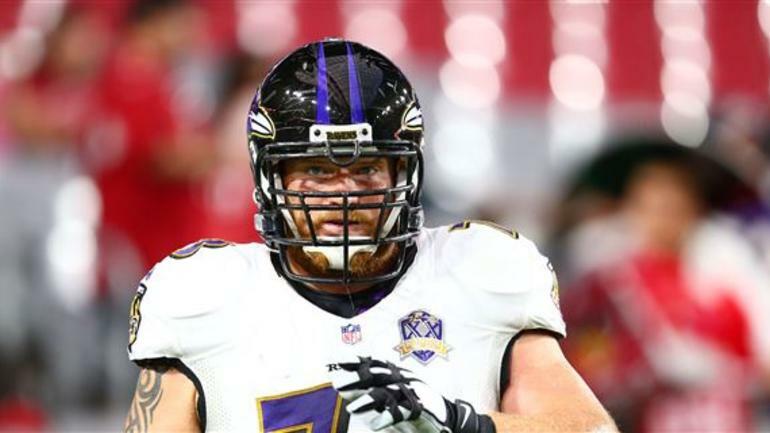 Last week the league announced Yanda was indeed one of eight finalists for the award that will be presented Saturday, Feb. 4, on FOX during the NFL Honors Show the night before the Super Bowl 51. Joining Yanda, a 10-year NFL veteran, as finalists are Brian Cushing (linebacker, Houston Texans), Frank Gore (running back, Indianapolis Colts), Greg Olsen (tight end, Carolina Panthers), Julius Peppers (linebacker, Green Bay Packers), Darren Sproles (running back, Philadelphia Eagles), Joe Staley (tackle, San Francisco 49ers) and DeMarcus Ware (linebacker, Denver Broncos). Seven of the eight finalists have 10-plus years of NFL experience. A panel of former players from the NFL Legends Community selected the eight finalists from the 32 total nominees. The panel is comprised of Warrick Dunn, Curtis Martin, Karl Mecklenburg and Leonard Wheeler. Last year the players selected Charles Woodson, of the Oakland Raiders, as the 2015 recipient of the Art Rooney Sportsmanship Award. Larry Fitzgerald, of the Arizona Cardinals was the inaugural winner of the award in 2014. This year’s winner will receive a $25,000 donation from the NFL Foundation to a charity of his choice. The winner will also receive a trophy that represents the important role that sportsmanship plays in the game and how NFL players that demonstrate integrity and honor on the field serve as role models for players at all levels. Rex Burkhead has been around for four years. 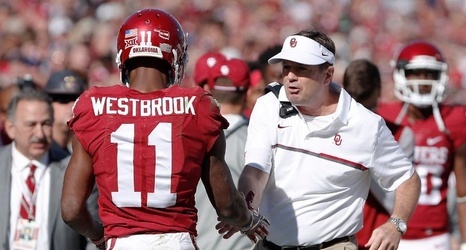 But, is the speedy back finally getting the playing time he deserves? His snap count needs to be increased. Cincinnati Bengals fans are well aware of the situation. The five-year playoff run has come to an end. A promising season has turned into dreams of 2017. But, that doesn’t mean stop caring. Rex Burkhead has emerged as one of the feel-good stories of the campaign. 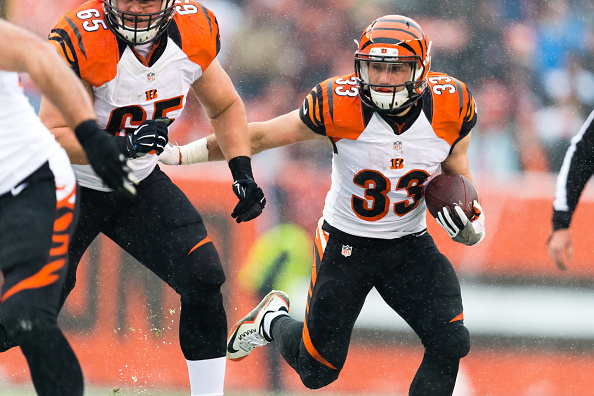 Filling in for the injured Giovani Bernard, Burkhead has quickly honed his skills. If fans didn’t know him before, he’s doing a good job of telling his story. When Bernard finished the game against the Buffalo Bills, no one was ready for the devastating news that followed. Gio had suffered a torn ACL, to the surprise of everyone. ACL tears are an unpredictable injury and take at least a year to mend. 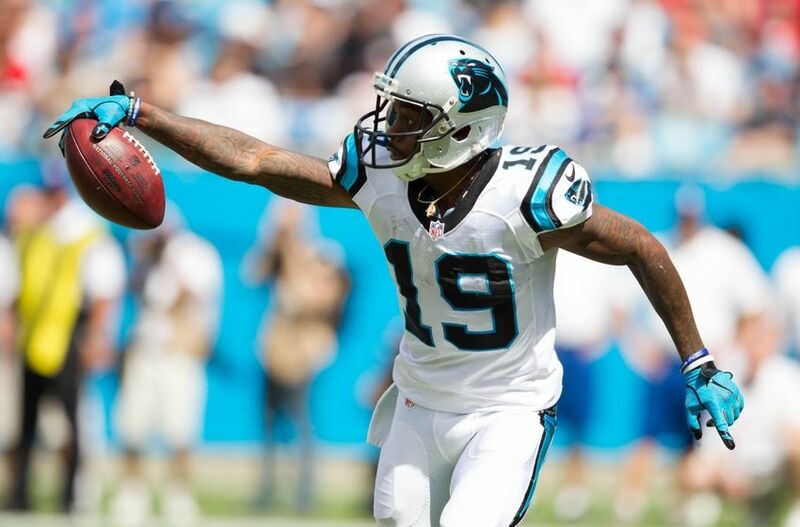 When Bernard comes back, he’ll be in for a serious rehab schedule. 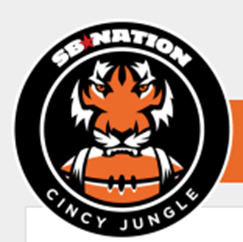 But, in that time Bengals brass will have to make some decisions on what to do. Burkhead has proven that he can take the pounding and keep on ticking (hope that’s not a curse). His shifty, speedy running style is something that hasn’t been seen for years in Stripes. Along with his quick wheels, Burkhead has an element of strength that doesn’t get much recognition. That’s an element truly necessary to combat the heavy blitz schemes of many defenses. Surprisingly, Burkhead was in on just 36% of the snaps. With the season coming to an end, this should be the time to really see what Burkhead has to offer. At times, I can truly be a homer. But, facts are facts. Jeremy Hill seems to start out with a head of steam and then fall into mediocrity. Maybe it’s the O-line or Ken Zampese’s zany play calling that makes Hill seem inadequate. Whatever it is, now is the time to find out what Rex is made of. During the come-from-ahead loss to the Steelers, Burkhead was a beast. But, he inflicted most of his damage in the first half. Let’s not get too happy here. The Bengals employ a two running back system that has its advantages. Hill is supposed to be the big bruising back that slams the line and wears the defensive line down. The change-of-pace back (Gio or Burkhead) is the designated speedster that comes in when the defense has lost their legs in pursuit. Unfortunately, Hill isn’t performing at the level necessary to get things set up for back No. 2. Against the Steelers, Jeremy ended the day with 43 yards rushing on 20 carries. A strange thing happened on the way to the stats. In the first half, Hill had 44 yards. So, he had a grand total of -1 yards in the second half? That truly needs to be addressed. 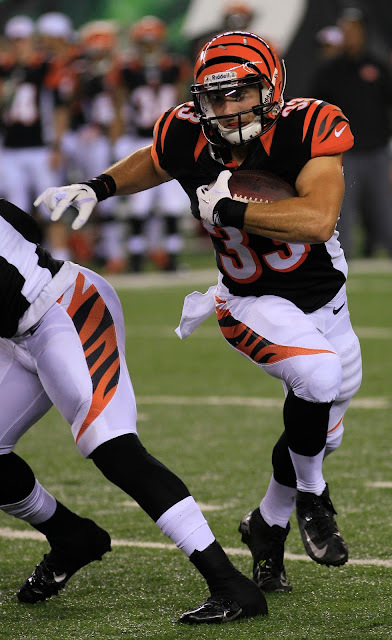 With the unanswered troubles at running back, Burkhead should get a chance to shine. After all, he’ll be a free agent in 2017. This is the time to find out what he can do. Gio’s injury could be more costly than expected. The season is already over. In the last two games, Bengals fans should be treated to winning football showcasing players of the future. Burkhead is on that list for more snaps. The NFL announced Tuesday that four Washington Redskins will participate in the 2017 Pro Bowl. Linebacker Ryan Kerrigan, tight end Jordan Reed, left tackle Trent Williams and offensive guard Brandon Scherff will be the Redskins‘ representatives. Cornerback Josh Norman, quarterback Kirk Cousins and wide receiver/kick returner Jamison Crowder will serve as alternates. Kerrigan will participate in his second career Pro Bowl. 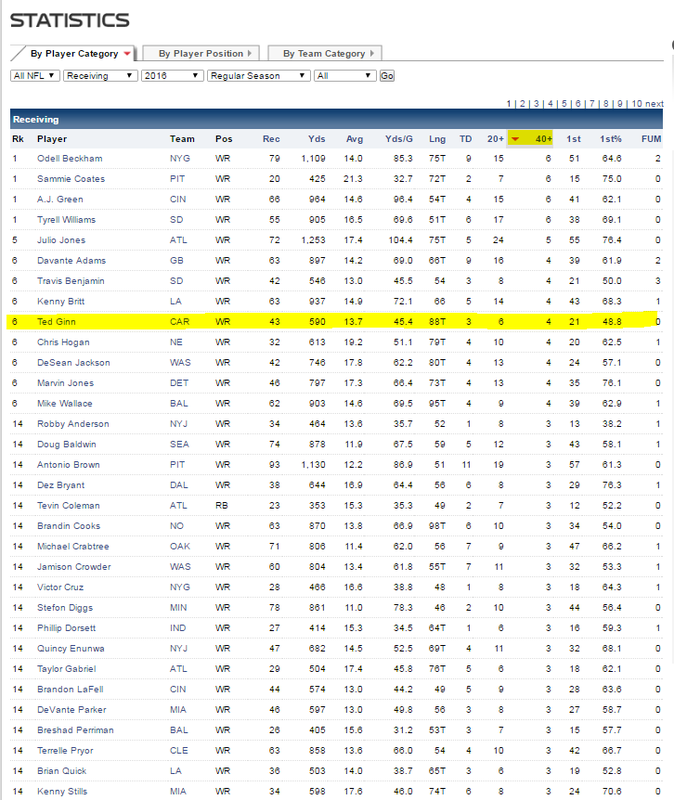 This season, Kerrigan has 11 sacks, good for the fifth-most in the NFL. Kerrigan’s 11 sacks are just 2.5 behind his previous single-season high, set in 2014. This is the sixth time in the last eight years that a Redskins linebacker has been selected to the Pro Bowl. Williams has been selected for the fifth straight season. Williams joins safety Ken Houston and linebacker Chris Hanburger as the only players in Redskins history to be selected to five straight Pro Bowls. An offensive captain for the team, Williams is a critical piece in an offensive line that ranks third in sacks allowed. 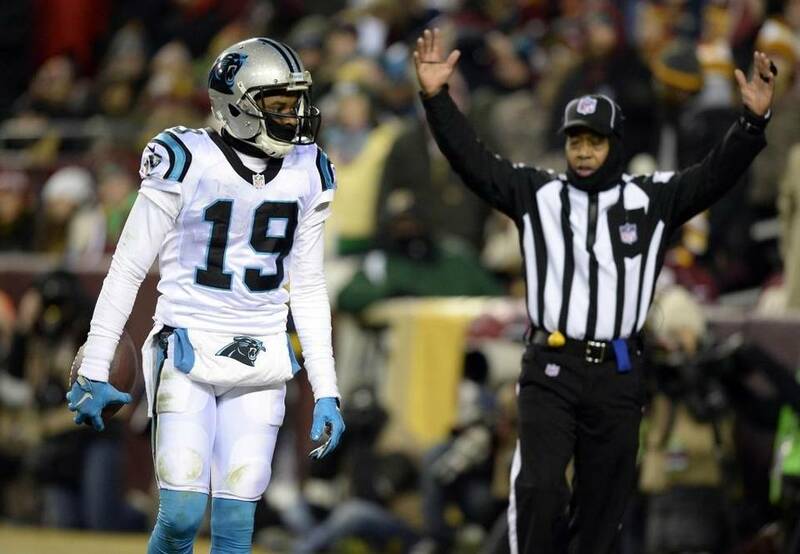 Earlier this season, Williams was suspended for four games for violating the NFL’s drug policy. Scherff, in his second NFL season, joins Williams. 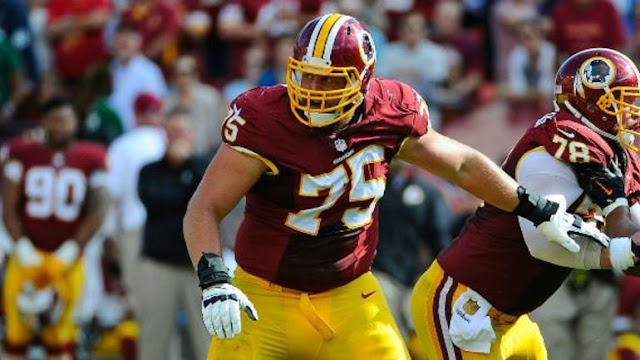 Since he was drafted with the fifth overall pick in 2015, Scherff has started all 30 regular season games. If he finishes out the season, Scherff will join Jon Jansen and Chris Samuels as the only Redskins offensive lineman to start 16 games in each of his first two seasons. 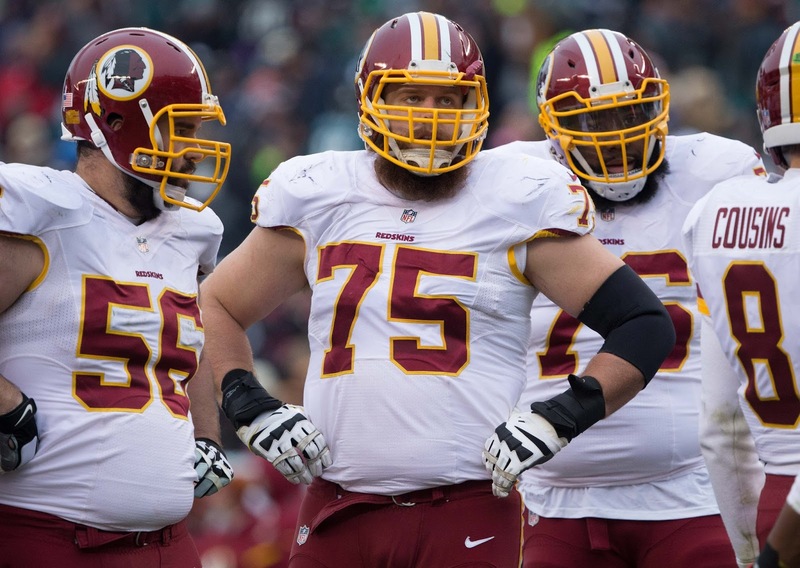 This is the first time Washington has sent two offensive linemen to the same Pro Bowl since 1991, when tackle Jim Lachey and guard Mark Schlereth were rostered. Reed is enjoying a successful season despite a slew of injuries, including a concussion and a Grade 3 AC joint separation. Reed has 61 receptions for 646 yards and five touchdowns in 11 games. Reed is the first Redskins tight end selected to the Pro Bowl since Chris Cooley in 2008. 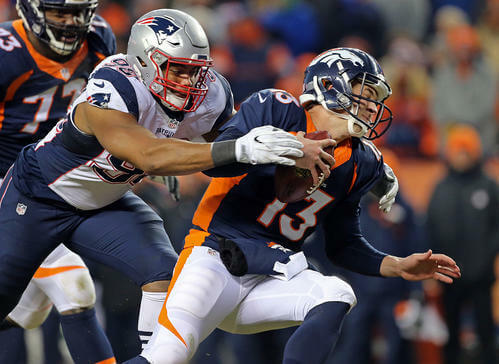 New England's Trey Flowers sacks Denver Broncos quarterback Trevor Siemian in the fourth quarter of Sunday's game. DENVER - The Patriots' most productive pass rusher this year is a player that not a lot of people were taking about heading into the season. 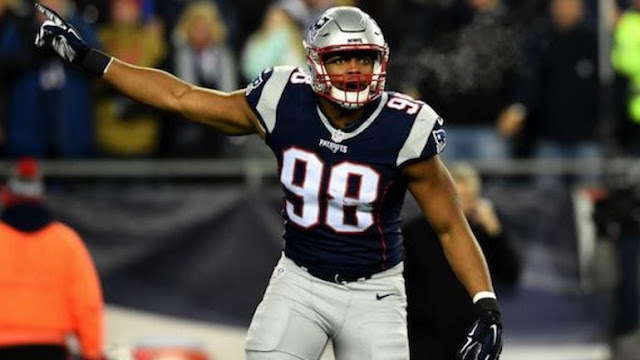 But one of the biggest stories for the Patriots defense this year is the emergence of Trey Flowers. The second-year defensive lineman led New England with two sacks on Sunday to bring his team-leading total to seven. 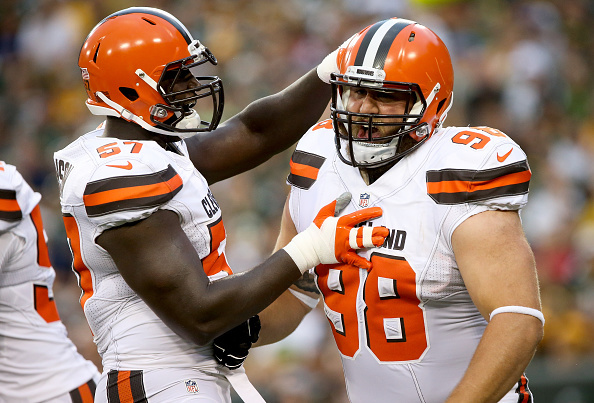 Flowers has amassed all seven sacks since Week Eight and has his teammates gushing at his potential. "Trey has been outstanding. 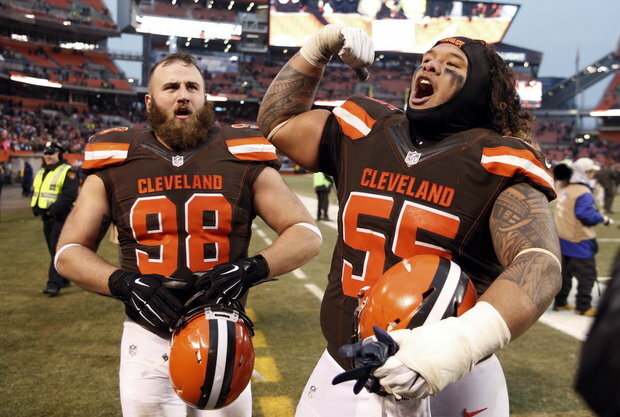 He's one of our best players," Chris Long said. "I think he has seven sacks and he's pretty much done it all rushing inside, which is even more impressive. There's very few inside rushers in our game that's put up numbers like him. As far as that's concerned, that's something people don't really think about. That would make him a pretty elite rusher." 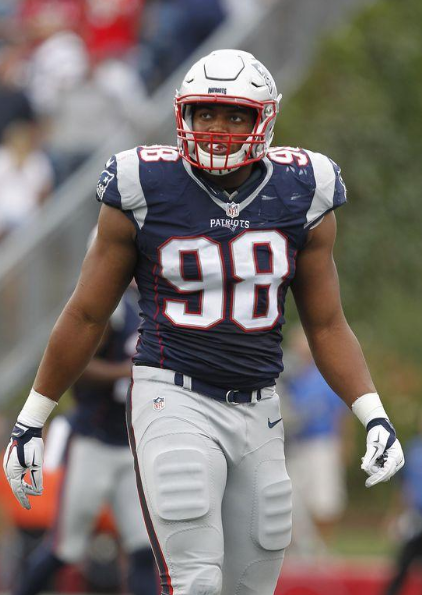 The Patriots fourth-round pick in 2015, Flowers played only one game last season before finishing the year on the injured reserve with a shoulder injury. 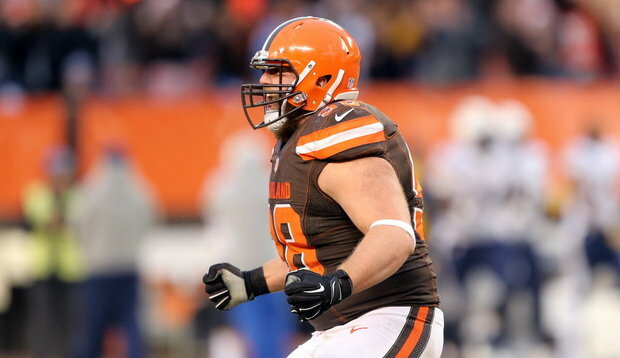 This season, he's been rotating in at defensive end with Long, Rob Ninkovich and Jabaal Sheard. He's playing more than all other defensive ends, however, as he's staying on the field as the Patriots third-down pass rusher. "Opportunity and just being prepared," Flowers said of his success. "Obviously I was out last year so just over the offseason making sure I was preparing and coming back full speed. Then opportunity and blessing from god that allows me to go out and play this game the way I can." 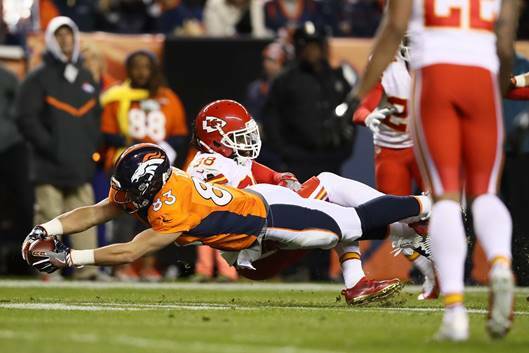 Flowers had a sack in the first half and then got to Denver quarterback Trevor Siemian again in the fourth quarter. "He's a great pass rusher. He's so underrated. So young," Logan Ryan said. "He doesn't even know how good he's going to be, but that kid's special. We see it. This guy is getting sacks on the nose guard. That's just insane to me. This guy is a great player." Added Flowers: "I always have confidence, but just being able to go out there and accomplish it – it's big." 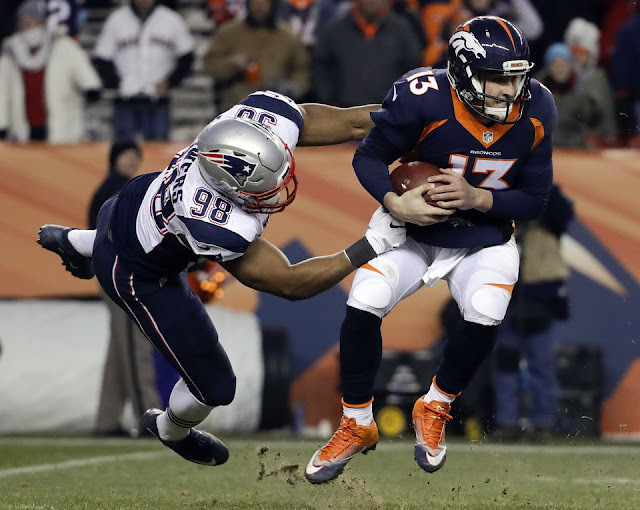 The evil genius Bill Belichick's latest invention -- an edge rusher by the name of Trey Flowers -- poses an imminent threat to the Denver Broncos' consistently inconsistent offensive line. After trading away Chandler Jones, a move that caught many by surprise, Belichick has his defense thriving with Flowers, who leads the Patriots with five sacks in as many starts. His latest -- a Monday night takedown of Ravens QB Joe Flacco -- should've put the Broncos on notice. Flowers, a 2015 fourth-round pick, has blossomed under Belichick this season. Given an uptick in playing time, the former Arkansas Razorback has shown solid all-around ability, grading out as the No. 47 edge player out of 110 qualifiers, according to Pro Football Focus. Flowers can win both inside and outside, making him a moveable chess piece in Matt Patricia's unit and a big problem for Denver's struggling offensive line. When the teams meet on Sunday, Flowers will be matched up against the Broncos' weakest links -- right guard Michael Schofield and right tackle Donald Stephenson, the team's lowest-rated player and the league's second-worst tackle, per PFF. 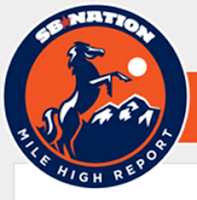 The Broncos' front-five, which has allowed 36 sacks and 87 QB hits, will be tested in Week 15. To give their club any shot of a victory, they'll need to be up to the task. 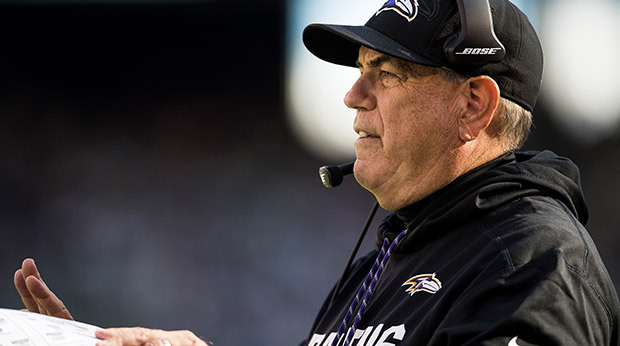 The Ravens defense ranks first in the NFL, and players say Dean Pees deserves plenty of credit. Ravens defensive coordinator Dean Pees kills the minutes before practices begin and the hours before games start by walking around the perimeter of the field. His pace is usually brisk and his eyes are trained toward the ground. He is almost always by himself and that's by design. Pees wants there to be no distractions as he visualizes how the next couple of hours might unfold. "It's just to get my thoughts together, what I'm looking for in practice, or even in a game, what am I going to do if they do this or that," Pees said after Thursday's practice. "I just want to be by myself and think about it." More often than not this season, Pees' vision for his defense has been realized. The Ravens have confused quarterbacks, overwhelmed opposing running backs and forced turnovers. They have the No.1-ranked defense in the NFL and players say their veteran defensive coordinator's game plans are a major reason why. Defensive tackle Timmy Jernigan called Pees a "genius" and the "mastermind of it all." Safety Lardarius Webb used the word "special" three times in one sentence in describing Pees. Strong-side linebacker Elvis Dumervil said Pees runs one of the most sophisticated defenses in the NFL. On Monday night, Pees and the Ravens will face one of their biggest challenges yet in trying to stop the New England Patriots and future Hall of Fame quarterback Tom Brady. That Pees spent six years working under Patriots coach Bill Belichick, the first two as the linebackers coach and the next four as the team's defensive coordinator, only adds to the experience. "The meaning for me is the fact that we're in first place in our division and we need a win to keep that spot," Pees said. "The other significance is, anytime you're playing against a team that is a really, really good organization and good team — they have been a good team for a long, long time — it always means a lot. The fact that I was there, yeah, it's kind of like playing against your brother in golf. Sometimes you want to beat your friends and your family more than you want to beat somebody you don't know." This season has provided vindication of sorts for Pees, but good luck getting the well-liked and widely respected coach to acknowledge it. He understands and appreciates the expectations Ravens fans have for their defenses, and he has also been in the pressure cooker of the NFL long enough to not be consumed by outside opinion. However, when the Ravens got off to a poor start last year and their defense was giving up points and yards at an alarming rate, the criticism was unavoidable, and the team's 67-year-old defensive coordinator was the target of a lot of it. "I'm the same guy I was a year ago," Pees said. "The way I look at it, I go out every day and try to give it the best I got. That's all I can do. I'm going to try and call the best game I can. Sometimes it comes out good, sometimes it doesn't. Sometimes it's my fault, sometimes it's not. No one person should ever get all the blame and no one person should get all the praise. It's all of us. "There are so many factors. The biggest thing is you just have to stay confident in yourself and in your ability to do your job. Whether somebody criticizes you, they aren't here every day. They don't know. They have no idea. They don't even know what coverage we are in half the time, so I don't know how they can explain the coverage. It's just gratifying that we're playing well, but it was gratifying last year, too. It was a struggle at the beginning, but hey, we got it turned around and we've got it going in the right direction." Pees and his players pointed to the team's second-half turnaround last year as one of the factors behind this year's success.Despite injuries to several of their top players, the Ravens had the league's No. 2-ranked defense and the top-ranked pass defense in the second half of 2015. "If you look at last year, with all the injuries we had, we were able to stay a top-10 defense," Dumervil said. "That just shows you the body of work that Dean has." Dumervil played for six different defensive coordinators in his seven seasons with the Denver Broncos. He said Pees is unique because of his ability to teach and direct complex schemes in simpler terms. The longtime football coach isn't regarded as a yeller or screamer, but players appreciate how he makes his point without singling anybody out for criticism. As far as his defensive play-calling, Pees is known throughout the league as a guy who loves to disguise coverages and show different looks to prevent quarterbacks from getting too comfortable. This past Sunday, the Ravens frequently played zone defense and that seemed to confuse Miami Dolphins quarterback Ryan Tannehill. During other games, opposing teams have acknowledged to being caught off-guard by a few looks from the Ravens defense. The Ravens lacked the healthy personnel last year and they became more predictable by necessity, but their defense is now far better equipped this season with the additions of Eric Weddle, Jerraud Powers and Tavon Young, along with the healthy return of Terrell Suggs. Not only are the Ravens allowing the fewest total yards per game in the NFL (296.1), they're first against the run and on third downs, and they're tied for second with 14 interceptions. "He's the one that's orchestrating everything we do," Ravens cornerback Jimmy Smith said of Pees. "He's been excellent this season as far as mixing it up, pressuring. We're sitting atop of the league right now because of the things that he's doing." Said Jernigan: "Coach Pees, he's what makes this stuff work. All we have to do is just go out and play." Pees is in his fifth season as the Ravens defensive coordinator after he replaced Chuck Pagano, who was hired to be head coach of the Indianapolis Colts. 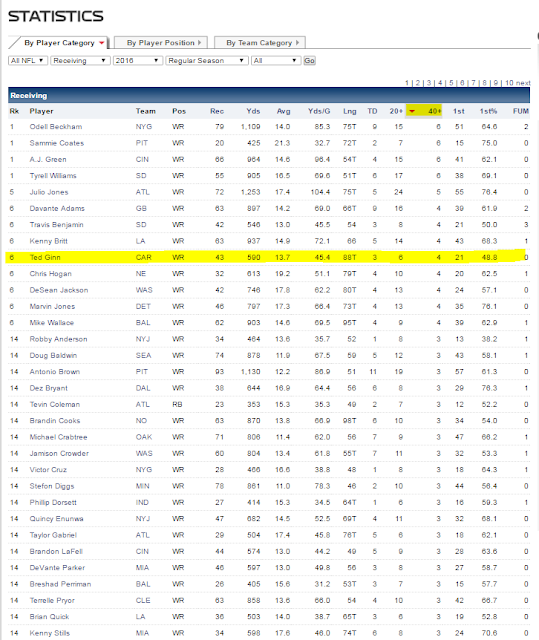 Under Pees, the Ravens ranked 17th and 12th defensively in 2012 and 2013 before finishing eighth in each of the past two seasons. The defense's performance this year has caught the attention of several analysts. 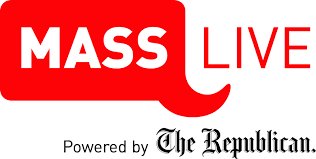 In a phone interview with The Baltimore Sun on Thursday, former NFL head coach and Monday Night Football broadcaster Jon Gruden said Pees "uses his roster as well as any coach in the league." He backed his point by citing the contributions of unheralded players like Zachary Orr and rookies Young, Michael Pierce and Matthew Judon. "All you have to do is turn on the film and just remember the slogan: 'Play like a Raven.' That's what I see from this defense. They play their [butts] off," Gruden said. "They can line up a couple of different ways in their base defense, but they never really play a base defense. They're always in their sub package and I love it. They have a very creative, three-down, three-linebacker, five-defensive-back sub package that I love. They play man coverage, they play zone coverage and they play zone pressure coverage, and they don't give up big plays. They can all tackle. It just looks like they're having fun." On Showtime's "Inside the NFL" this week, former NFL quarterback Phil Simms called Pees a difference-maker. "We never talk about some of these coaches that give their team a great chance to have success, and he's one of those guys," Simms said. Pees quickly pointed out Thursday that the Ravens still have four regular-season games to play and the difficult season-ending stretch begins with a matchup against the Patriots. Brady has thrown 19 touchdown passes and one interception this season, but as Suggs pointed out Wednesday, "Dean Pees is also playing games at an all-time high, too."